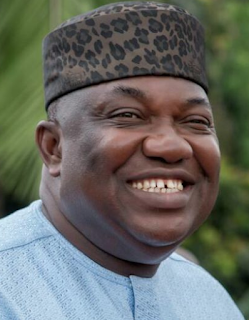 The Enugu State Government says it has concluded arrangements to upgrade the School of Public Health Nursing/ Health Technology, Nsukka to College of Health Technology and Nursing Services.This was revealed during the matriculation of 125 students, admitted for the 2018/ 2019 academic session. Governor ugwuanyi Represented by the Permanent Secretary, Ministry of Health, Dr Ifeanyi Agujiobi, said that the state government was happy with the performance of the school, established in 1977. “Very soon the school will be known as College of Health Technology and Nursing Services, Nsukka. “The state government is happy with the performance and achievements of the school and has concluded necessary arrangements to upgrade the school to a college. “When the school becomes a college, thousands of candidates from different states of the federation will seek admissions into the college,’’ he said. The governor commended the principal of the school, Mrs Uchenna Eze, on the recent approval by West African Examination Board for the school to start running environmental health programme. “Since 1977 the school was established, various principals made efforts for approval of this programme but within one year after you assumed office it was approved. “The state government is happy with you and your management for this great achievement,’’ he said. The governor advised the matriculated students to shun immorality, examination malpractice and any form of cultism. Eze, in her remarks, urged the new students to give priority to their study and be of good conduct since not all candidates who applied for admission were admitted. “It is not all candidates who wished to be here were able to make it, you must count yourselves privileged to be admitted. “Remain focused, so that you acquire knowledge and skills you need to attend to the sick and helpless. “Both academic and non-academic staff of this school are ready to help you achieve success,’’ she said. She commended Gov. Ugwuanyi, who provided the funds and logistics that made it possible for the school to get four years accreditation recently from Community Health Board. Eze announced that the school had been granted approval to run environmental health programme, describing it as a dream come true. “This is a dream come true as the search for this programme has been on since the establishment of the school in 1977. The principal listed some of the challenges facing the school to include: completing of female hostel, building hostel for male students, employment of new security officers to replace retired ones, among others.